Autumn is here and it couldn't have come at a better time. During the past week, I have rekindled my love for berry/mauve coloured lips(ticks). 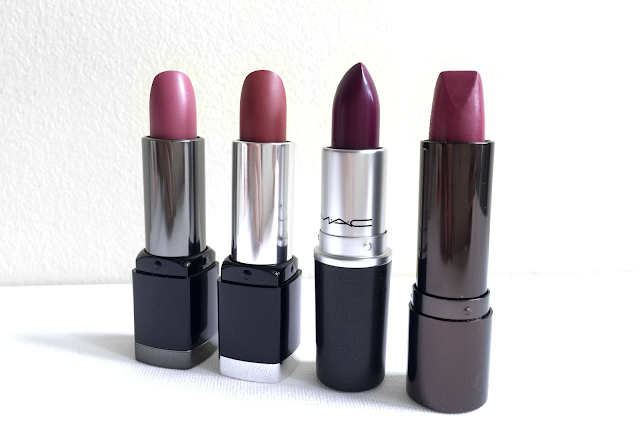 Everyone knows that a red lip is classic but there is something about a berry /mauve lip that just screams fall. 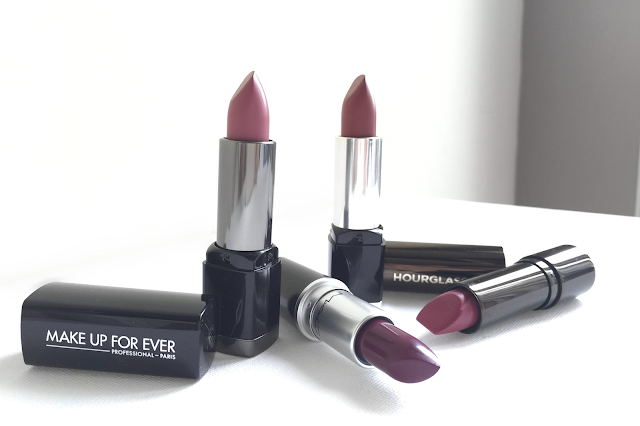 Here are my top four lip colours that will get me through those cool autumn days. A beautiful creamy neutral pink that looks sophisticated. I can see any age wearing this colour and know this will definitely be my go to everyday colour for autumn. Great consistency and moisturizing. This purple berry lipstick compliments all skin tones and is one of the darkest colours I own. I admit that I still shy away from wearing this gorgeous colour during the day, but at night, it's all about being a rebel. 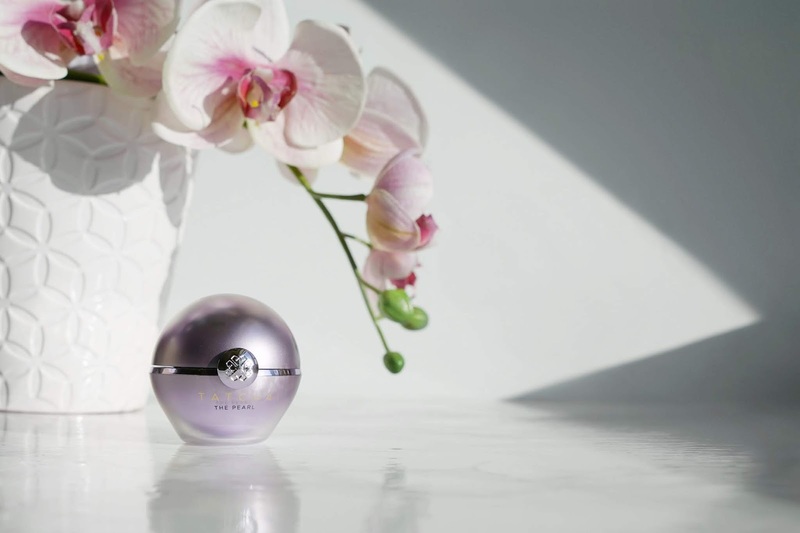 Consistently a favourite for all beauty bloggers, this one has been added to my "must have" list too. STUNNING. The perfect "my lips but better" colour. Like the Rouge Artist Intense line, this lipstick is also hydrating. I find the copper pink to be on the lighter side upon first application, but is definitely build-able. Perfect for those days you want to steer clear of bold lips. This lipstick just feels luxe. Smells great and applies super smoothly. Nocturnal is a colour that I have been loving since last year and although the most expensive out of the four, is money well spent. 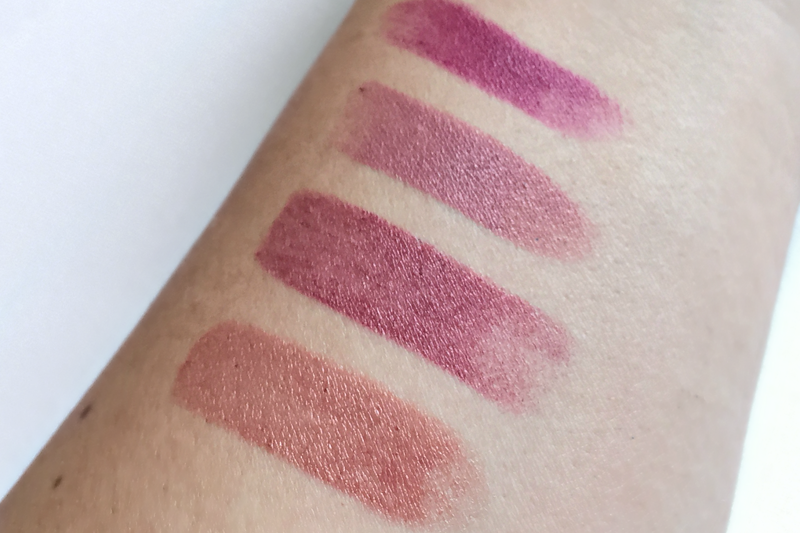 This one wears matte but is not drying which is key to a matte lip. I can't get over this colour! It's a deep cool berry that I'm comfortable enough wearing during the day. Obsessed. 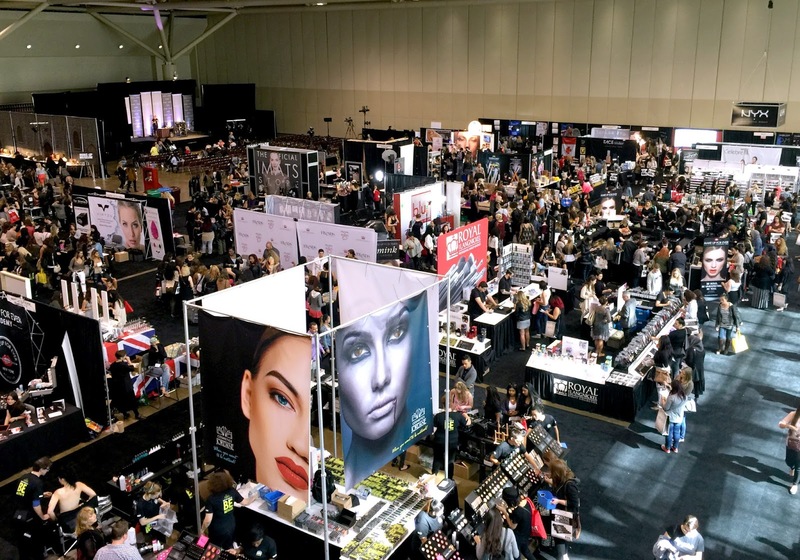 This past weekend Toronto hosted the International Makeup Artist Trade Show which happens annually. Therefore, you can imagine how excited I was to attend for the first time ever. I thought I would start my blog with a big bang! 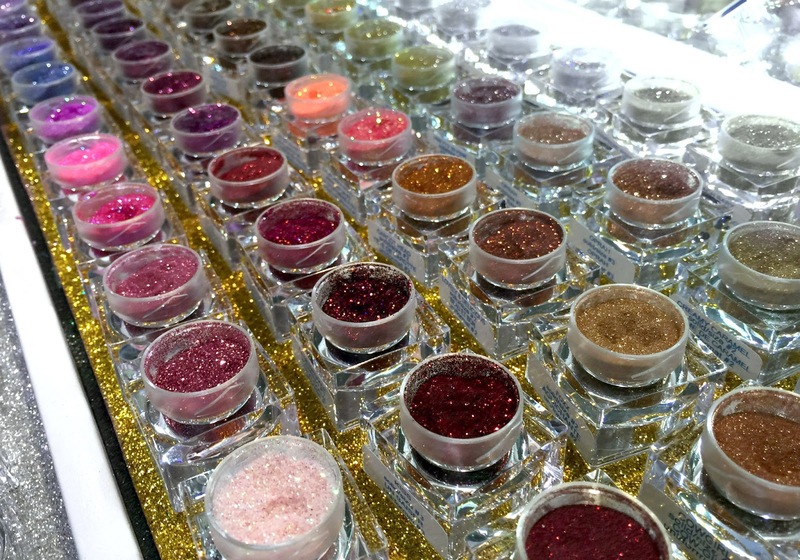 A review and Haul of Toronto's IMATS 2015. A month before IMATS, I had been stalking blog sites that held reviews of IMATS so I could prepare myself for the beautiful chaos that I was so eager to attend. 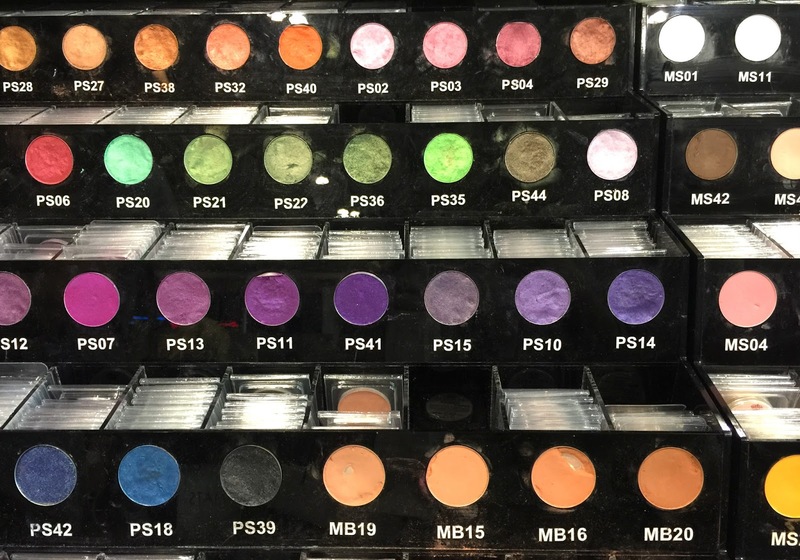 So, I thought as my first blog post, it would be great to share my experience with other makeup enthusiasts that want to know more about IMATS. This was my first time at IMATS. I opted to go on Sunday this year as I heard it is generally less chaotic than Saturday. Not knowing how long the line up to enter would be, I planned to be there an hour to an hour and a half prior to opening. I overestimated my timing and arrived two hours before opening (8am)! Fortunately, this worked out to my advantage as I ended up being second in line for non-pro members so the moment I entered there were no waiting times at any booths! The line to sign in and get a stamp started getting long around 9am (doors open at 10am) and I have to say IMATS could have done a better job communicating with their employees regarding the line up as they seemed quite a bit disorganized and confused a lot of the time. (However, this was a minor thing and it didn't hinder my experience in the least). At 10am, the moment I had been waiting for had arrived - they began letting people officially enter into IMATS. I had a plan in place and a list of items I wanted to spend my hard earned money on. I aimed to be in and out before it got too overwhelming so I headed to Nigel's Beauty Emporium first in hopes that I could snag a 6 pack of beauty blenders for $65. Unfortunately, they sold out of this deal on Saturday so I settled for Beauty Blenders idea of blotting papers - a blotterazzi. After Nigel's, I hit up Makeup Forever and managed to pick up the items I wanted while waiting less than two minutes to check out. Amazing, right?! My only regret was not snagging a few more items from Makeup Forever! I was able to walk around the convention centre while browsing the booths comfortably and without too much crowding. The only exception was the Morphe booth - the line began wrapping and extending about thirty minutes after opening. I didn't even attempt to wait! There were several places to find brushes. Between Royal and Langnickel, Bdellium Tools, Crown Brushes, Hakuhodo and Morphe, I admittedly became overwhelmed. 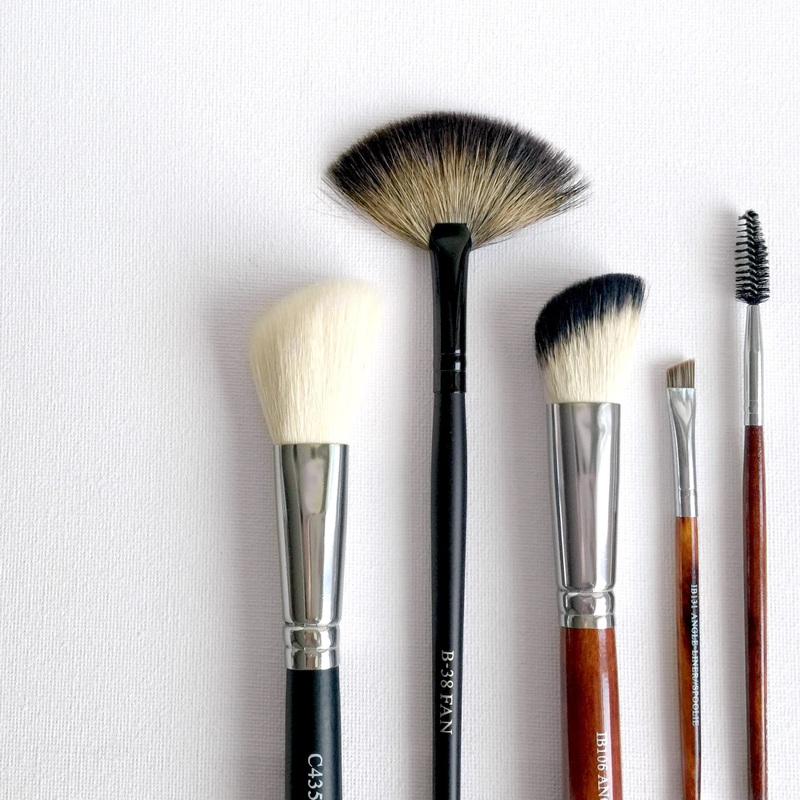 I was able to purchase several brushes but wished I had gotten a few more face brushes. Next time! I was excited to see that Benefit had a booth this year as I browsed last year's exhibitors and they didn't attend. They were offering 35% off all products plus giving away one lip product with the purchase of three products from their booth! 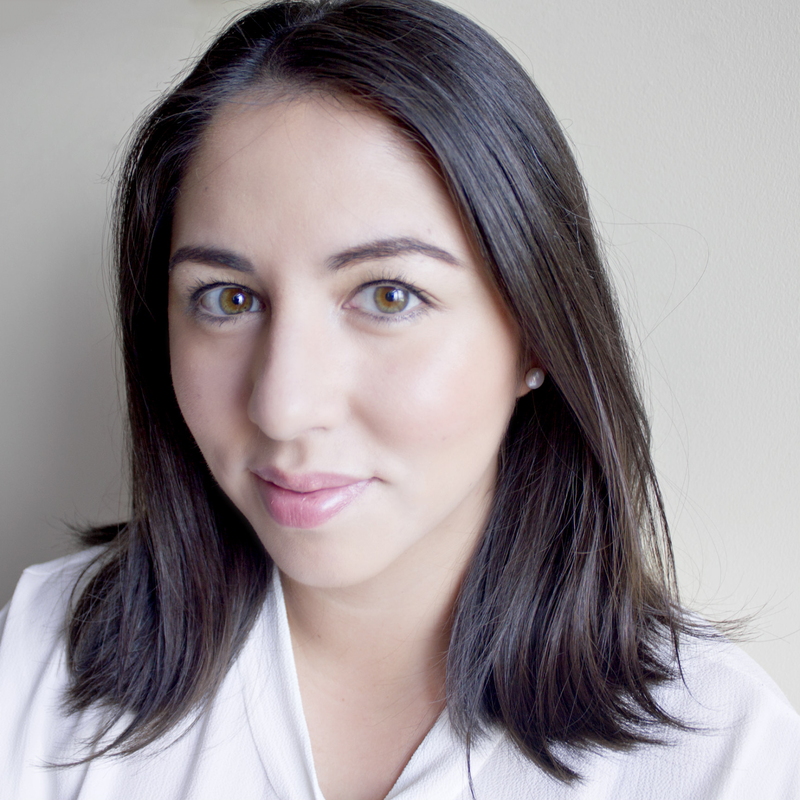 They also gave me a coupon to use at their uptown brow bar on Yonge street (20% off) which is fantastic as I get my brows waxed there already! All in all, I had an amazing time. It was refreshing to be surrounded by people who shared the same interest as me. As I waited to enter, I felt like I was a little kid waiting to be let into a candy store! I cannot wait to attend again next year! If I can't attend both days, I would go on a Saturday. There were a few things I wanted to buy that sold out on Saturday. Have a prepared written list of everything I wanted at Makeup Forever. Once I arrived home, I realized there were a few more things I wish I had picked up that I didn't - you can never have enough lipsticks! Although I browsed all the booths multiple times, there were a few that I purchased from. Below are the products I purchased and the booths I picked them up from. I will also list what I paid for each item since I find this super helpful when browsing other reviews. I also stayed well under budget! Success! 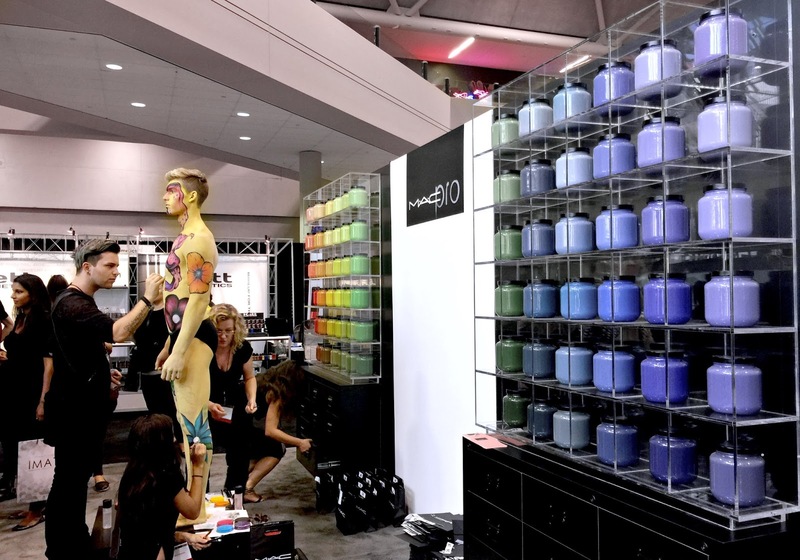 Did you attend IMATS Toronto 2015? If so, what did you pick up? !